Exclusive! 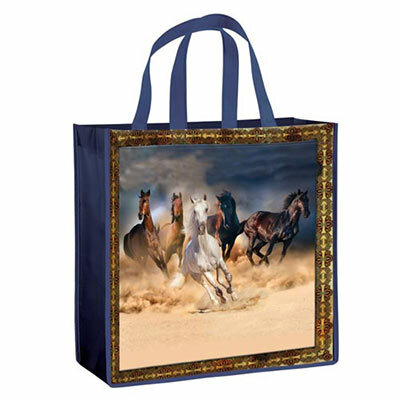 Wild horses couldn't keep us away from this perfectly practical Running Free tote! Great take-along for travel, school, the gym and of course shopping! Non-woven polyester is coated for easy wipe-off cleaning. Imported. 14"w, 12"l handles.